“Jules, how far are you going tomorrow? 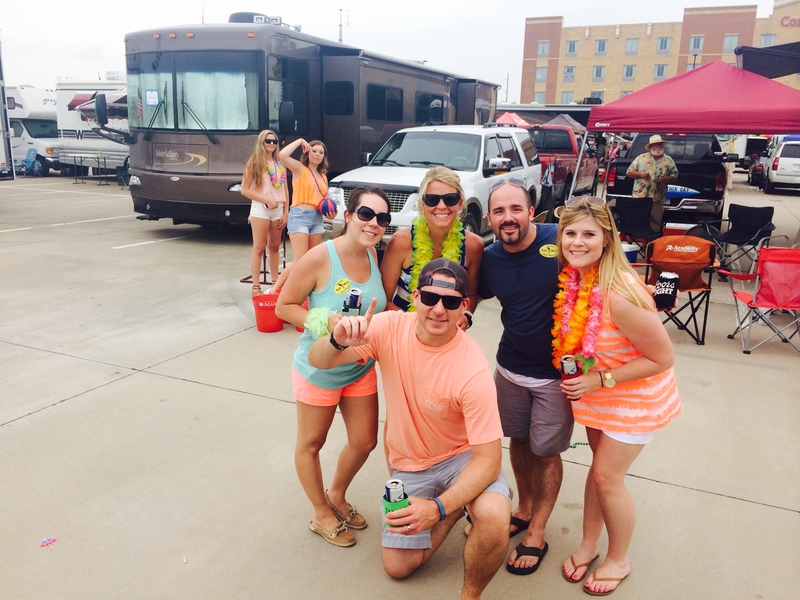 Remember to save some energy for Buffett tailgating!” Said Paul with a giant smile. Yes, how could I forget – it was one of Paul’s favorite days of the year (next to Simon Olympics). He was as giddy as a schoolgirl on spring break and had been looking forward to this since … well, since last time we did the “shot-ski” together. I knew I owed him this day – free of run-chat, cycling stories, logging onto training peaks, or obsessing over gluten free menus. But, after a fun night at Costco shopping for our goodies I started to come down from my anxiety stricken panic and joined Paul in the excitement of getting wasted away in Margaretville. 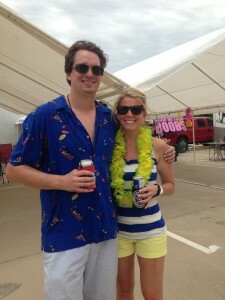 Buffett is here once a year dammit. I was going to enjoy! As planned, the next morning I joined my running club friends at 6:30am. 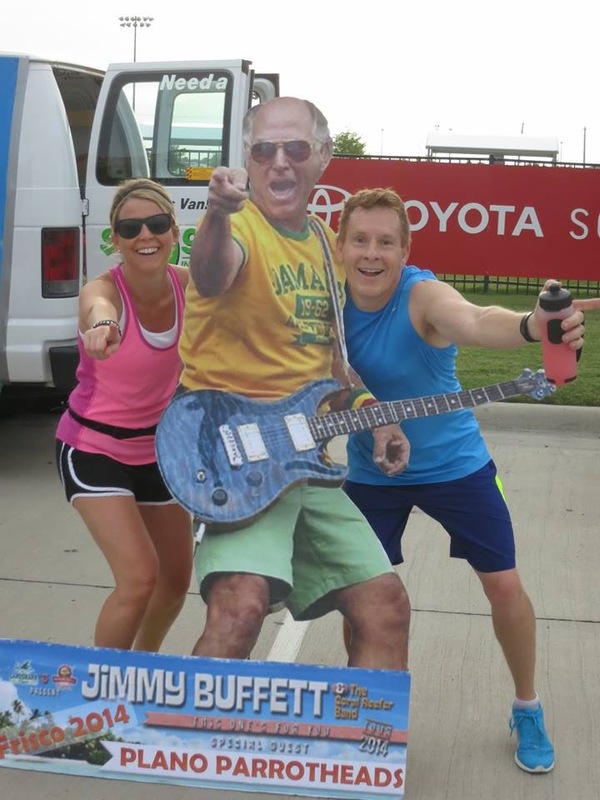 And what better way to celebrate Jimmy Buffett in town than to do a Buffett run? 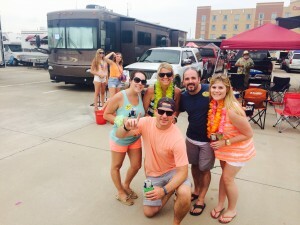 We ran through Frisco making sure to serpentine through the Toyota Stadium parking lots taking in the views of some of the best tailgating sites I’ve seen in my life. Just gets better every year folks! 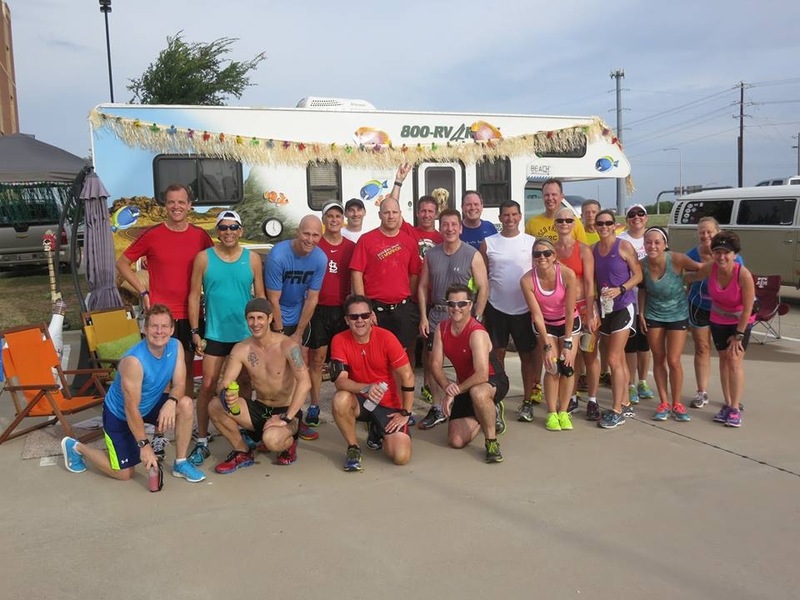 I ended up running 10.6 miles that morning – the furthest I’ve gone yet since February. My legs were shredded at 7 miles and I almost got a ride back to my car … but, then I remembered I’m Julie Simon and I don’t do that sh*t. My legs were aching terribly but my heart and lungs were fine! I could keep going and that’s exactly what I did! Wasted away again in Margaritaville…. Paul and Dustin went early to hold spots then everyone else met at our house around noon to head over together. The boys had a great spot for us with our very own potty (which came in handy given the significant amount of water I took in between 10am-12pm!) 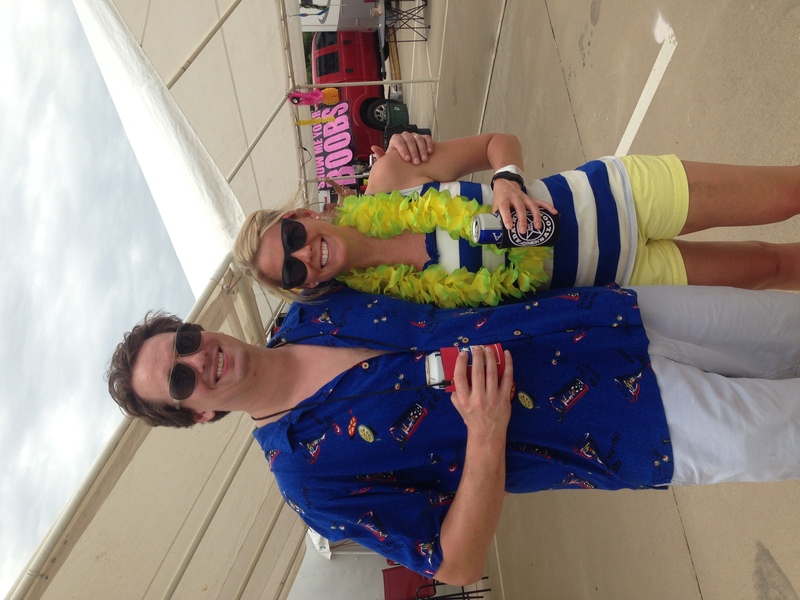 We all had an amazing day walking the tailgates, playing plinko, spinning the wheel, hitting the shot-ski, eating crawfish, and enjoying a cheeseburger in paradise 😉 I was a little nervous about getting up to ride at 7am Sunday – but that thought only crossed my mind once or twice. After an awesome day I crashed hard – yet, still setting my alarm to get up and ride Sunday and getting all my gear out. Well, I didn’t make it out of bed. I was feeling a little guilty about bailing on the guys in the morning but it ended up raining so I got a FREE pass anyway – lucky me! I guess God decided I needed a break this weekend– both mind and body. Learning to balance is the toughest part of “the athlete’s life”. I’m constantly challenged and worrying I’m making the right choice at the right time. I want to be there as a wife, a friend, a trainer, a leaguer, a marketer – but it’s a lot to juggle while training to the next level. I do have to say “no” a lot and prioritize differently than others. Most won’t get it. And, those who do – well, I’m married to one who does and that’s enough for me. He’s my best friend – he gets me. And, while I may not have killed it this weekend… my husband still thinks I did. You totally rocked it all this weekend ! Love you and proud of you!